Cornbread is comforting. Cornbread is fancier than toast. Corn is a vegetable. 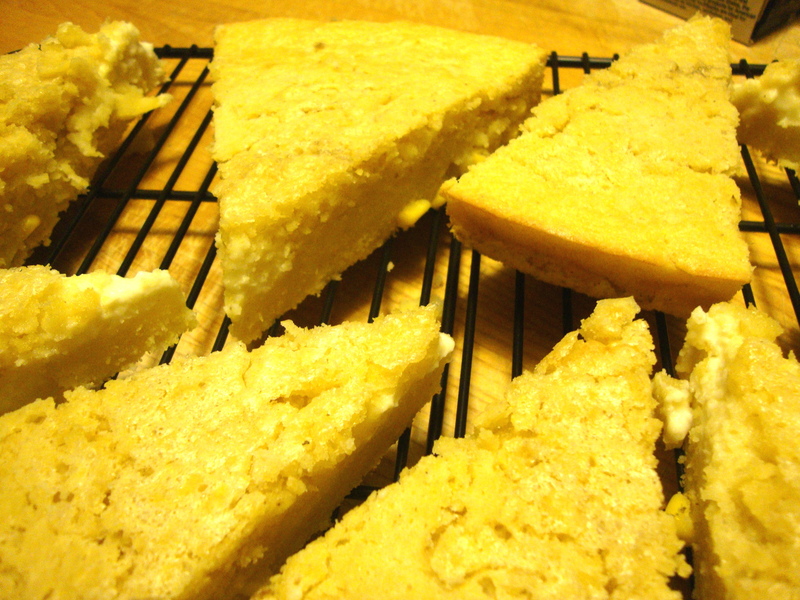 These are all clear reasons why you should enjoy cornbread more regularly. Just ask LC. I think she makes a different cornbread each time we are in DC (most memorable so far? cheesy corn bread). My mom, who gives me probably 75% of my cooking ideas, made this recipe and swore it would change my life. My dad said he liked it a lot. Sold. The recipe is Martha’s. Oh Martha. Martha Martha Martha. I almost followed the recipe to a T (have I ever followed a recipe to a T? Doubtful). However, I used white wine vinegar instead of distilled white vinegar. 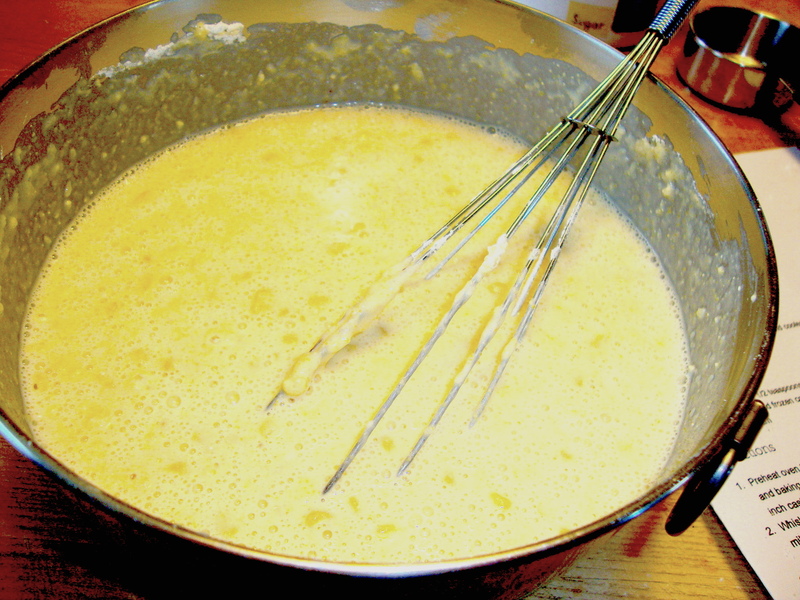 I also used heavy whipping cream instead of heavy cream… although I still am unsure if there is a difference. I used thawed frozen kernels. The only thing I would change from this recipe is the cooking time. 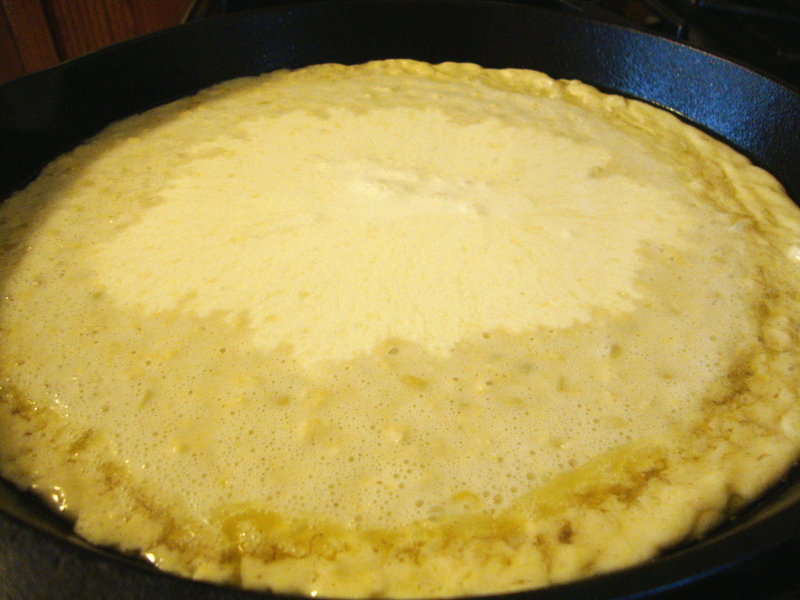 I probably cooked mine for 41-42 minutes, but the center was still quite custardy. 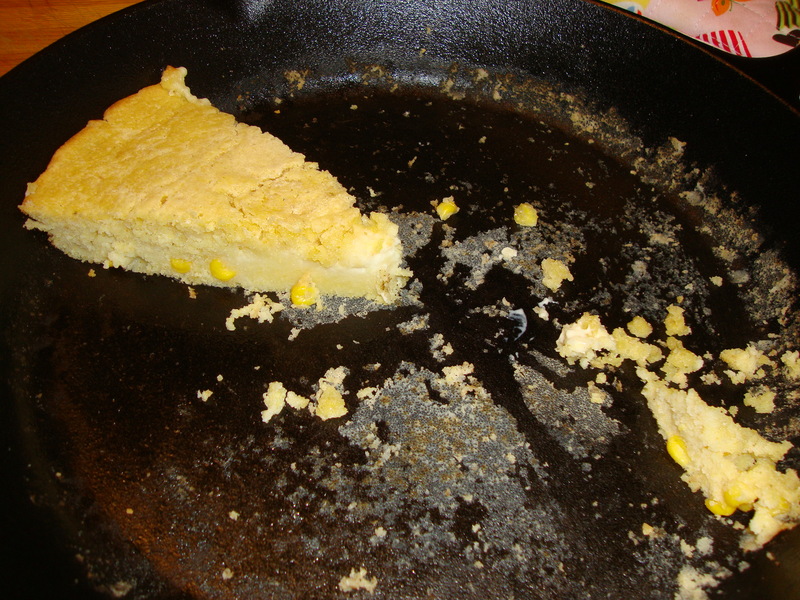 I know it’s a custard corn bread so maybe it’s supposed to be like that, but it was a little too moist for me. I would recommend cooking closer to 50 minutes. Great flavor overall. We ate this several days and it didn’t get dry. We ate it the first night with pork spare ribs, then at lunch the next day and then with dinner the following night (I can’t remember what dinner was now…). 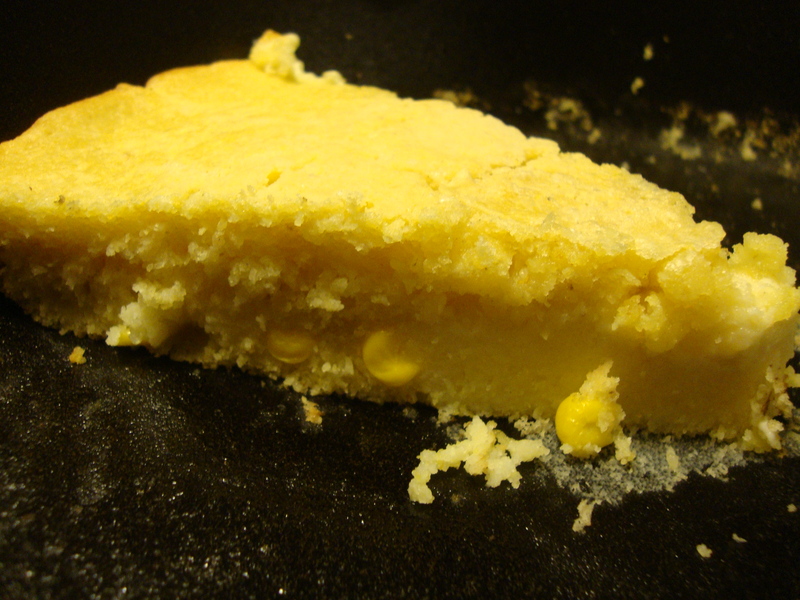 One of the joys of this recipe is just how nice the cornbread looks coming out of a skillet. I’m about all the senses when I cook and this is very visually appealing. One of my favorite parts was the kernels. I think even when I do the generic cornmeal box recipe I will throw in some kernels. It just seemed more wholesome. Enjoy!